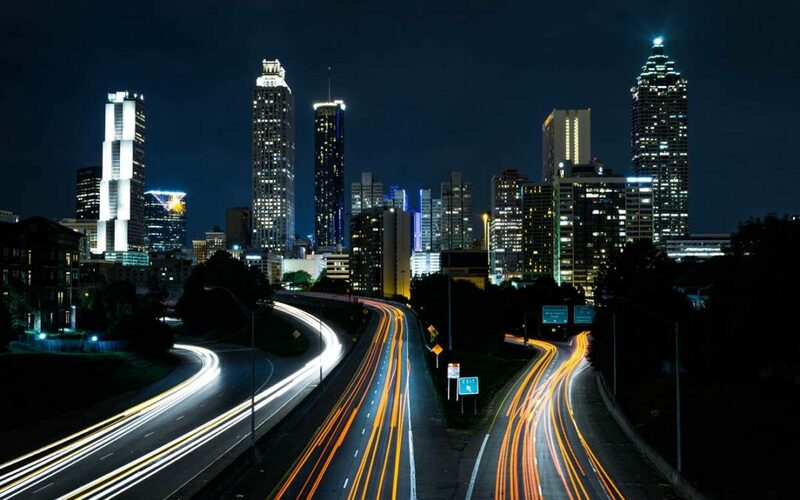 250 million connected vehicles will transverse our roadways by 2020 according to Gartner. By 2040 it is anticipated that autonomous vehicles (AV) will represent 25% of all vehicle traffic. 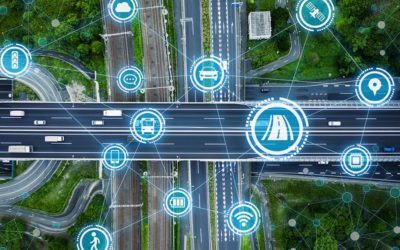 All of this will be supported by infrastructure that will accommodate connected and non-connected vehicles as well as a mix of self-driving with human driven cars, while trying to connect all of the preceeding to bikes, pedestrians and commercial vehicles that includes drones. Laws and procurement policies will change faster than ever and regional cooperation will be essential to daily activity. Cities leading this metamorphous will reap huge economic benefit by attracting human capital and technology companies, while those who lag may never fully recover. Insurance will change, and there will be drama. This past March we saw a self-driving Uber vehicle get into a three-way crash in Temple, Arizona. How is that for uncomfortable? Uber temporary ceased self-driving activity. While managing all of this as well as todays issues, municipalities must also be ready for 5.9 GHz (DSRC) vehicle communication that may be replaced by 5G before it starts. Data storage and cyber security will come from nowhere to catapult to the top of traffic department priorities over the next five years. The National League of Cities (NLC) released “Autonomous Vehicles: A Policy Preparation Guide” in April of 2017 predicting that cities must be ready with “scalable, highly-resilient cloud-based infrastructures” and be ready to accommodate “broadband needs of a mixed AV transit system” to be prepared for the future. The same NLC report suggests “negotiating matching loans with state infrastructure banks” to create infrastructure investment and that cities must be aware “their wireless broadband needs will grow exponentially and understand their infrastructure will need to constantly be updated” will be the new normal. They suggest “Additionally, cities need to carefully consider requirements around keeping data safe and protecting against cybersecurity threats, as well as budget for the infrastructure necessary to securely store it”. And then, there will be new challenges such as curb management. According to Governing Magazine, America’s 25 biggest cities collected nearly $5 billion in car revenue in 2016. This is primarily from parking and works out to be about $129 per resident. If that goes away with shared mobility, what happens to services? By-the-way, who is responsible for updating maps for self-driving cars? What is a Traffic Professional to do? It seems, a sensible avenue to begin the journey is to rely on trusted partnerships. Relationships where your collaborators watch out for your best interest and focus on doing the right thing rather than the easy, trendy or selfish thing. Connections where the collaborator works hard in delivering you great product and information that will be Flexible enough to evolve as technology and policy does. GRIDSMART would like to be that partner. Do we have all the answers? Hell no! What GRIDSMART does have is a Company built on principles. Simple. Flexible. Transparent. It all means doing the right thing, every time. Some companies are built on innovation and others on profitability. That creates behavior incentives for each such company. When the core value is doing the right thing, behavior is, well Simple. GRIDSMART won’t have all the answers, but we will partner and collaborate in 2018 to deliver the best we can and tell you honestly when we just don’t know. We will invest in delivering the right answers. We will of course also invest in delivering the right products for your future. You will see more POLICYSMART podcast from our Vice President of Global Policy, former ITS America CEO, Regina Hooper. She will leverage her two decades of public policy experience to bring you clear and understandable messages about policy and technology. By the way, she won an Emmy award covering the White House for CBS, so we think she understands how to deliver a message clearly. We will roll out an exclusive partnership with Mobile Comply, the internationally recognized training and curriculum development company, staffed with industry leading subject matter experts specializing in mobile connectivity, and connected vehicles to help certify ITS Professionals. Mobile Comply is bringing to ITS what it has already delivered to SAE. Focused, valuable and efficient training. 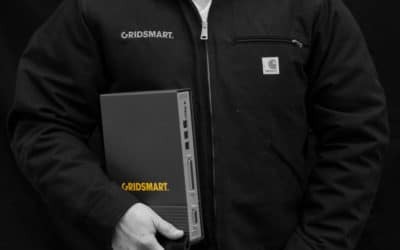 Heck, GRIDSMART will sponsor you for part one of your three-part training. GRIDSMART will bring the INTERSECT movement out of Knoxville for regional events and of course keep raising the bar with our industry focused fall event where you will learn from industry leaders such as Congressman Bob Walker, Governor George Allen and Former Secretary of State, Mary Peters like you did in 2017. Our friends from Thinking Highway Magazine will continue to work with us on your career 401K Plan and we will work to provide training from the National Operations Center of Excellence (NOCoE) just like in 2017. GRIDSMART will maintain our Board Seats on National Trade Groups like ITS America and grow our partnerships with Denso and private Cyber Security Firms to bring you cutting edge products, news and information that will always be Simple, Flexible and Transparent. You will learn all about this and more in this newsletter and we can’t wait to share all we discover through our efforts with you, right here. Your path leading your community into the future will have challenge. But if it were easy, anyone could do it. You are special. You deliver tomorrow to your neighbors today. In supporting you, we promise you can count on us to always try to do the right thing. You can count on GRIDSMART to invest where there is not always a return to us, but where the return is for us all. We can’t wait for 2018 and I sincerely hope it will be a ride we take together.